parlour and dusted the room thoroughly. Nor surprisingly, the carpet that Evelina used in the house was inexpensive. Drugget, as it was known, was “a sort of cheap stuff, very thin and narrow, usually made of wool.”** Drugget is an English term for “a coarse fabric having a cotton warp and a wool filling,” ** the kind of quick carpeting one might have found in a first class railway carriage. It probably had a design or a border printed on it. Evelina has written here and elsewhere of putting carpeting down, taking it up and outside to clean, and putting it down again. 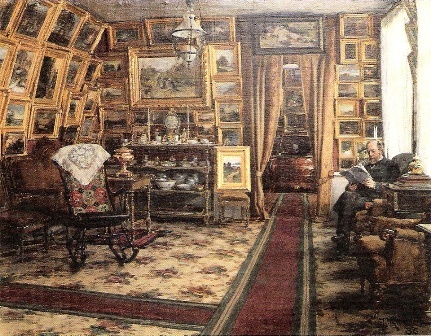 She has written of stitching the carpeting together, which suggests that she may have used drugget runners side by side to make an over-all covering for her parlor floor. She may have been more conventional, though, and placed the drugget as runners on top of an area rug, or on top of a bare floor. Whatever she did, the work was repetitive and dusty. It’s a shame that Evelina spent so much time indoors today when the weather was “fair warm + pleasant,” as Old Oliver reported. She herself made note of its similarity to spring; she should have known it wasn’t going to last. It was an average Monday at the Ames’s house. Jane McHanna washed clothes and linens in big tubs in the kitchen while Evelina swept and dusted all around the house. Susie Ames worked, too, helping her mother with the breakfast dishes. After the chores and meals were over, Evelina visited next door with some sewing in hand. In Boston, however, the day was more noteworthy. An iconic American institution – so familiar to most of us in the 21st century that it seems to have always existed – was formed today. 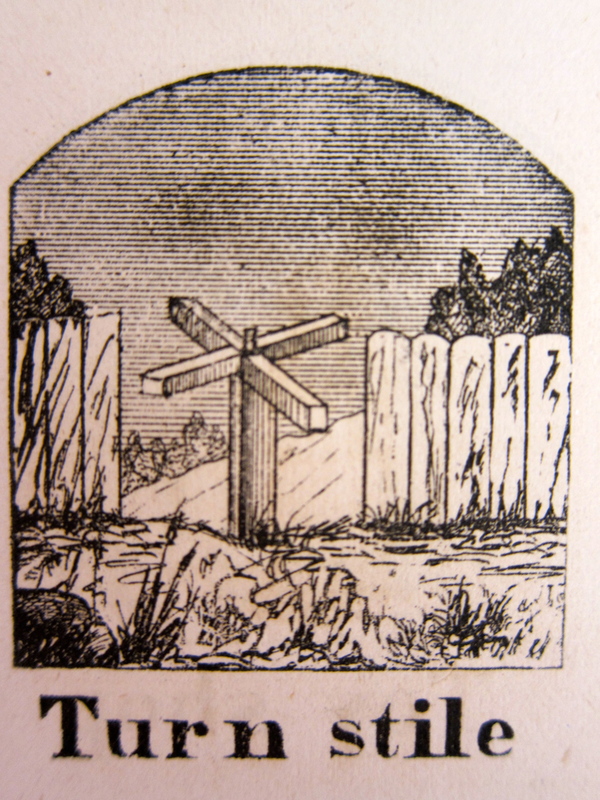 Borrowed from London, where the original organization had been founded six years earlier, a Young Men’s Christian Association was formed at the Old South Church. The “Y” was born in the U. S. A. Among her dishrags and dustmops, Evelina wouldn’t have known about Capt. Sullivan and his new work. Yet the small, hopeful gathering at the Old South Church would grow into a major, caring resource for millions of people. 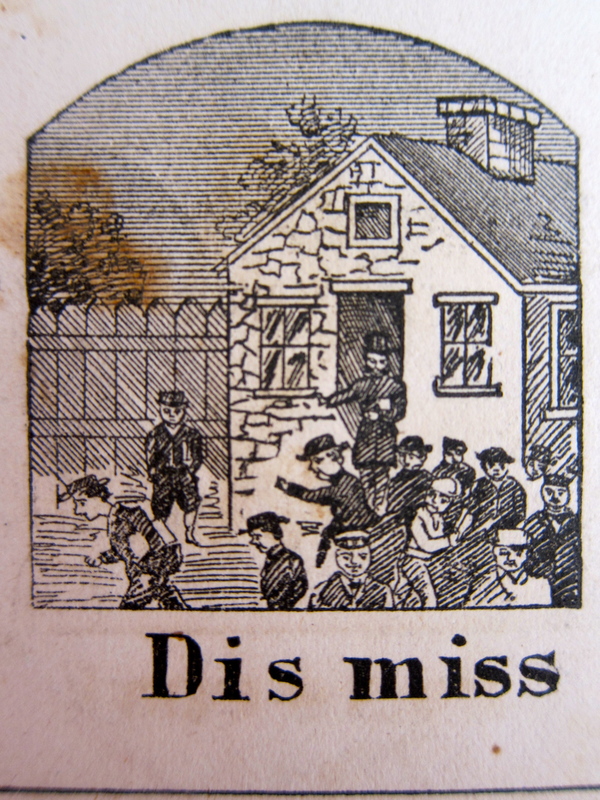 there that Mr Whitwell thought best not to have one in the afternoon. It was dreadful weather for a burial, but the frozen ground and cold precipitation didn’t prevent the funeral of Sophia Pratt, who had died the day before of consumption. Fifty-seven years old, she was the mother of four sons and the wife of Capt. Jonathan Pratt, a farmer and former member of the local militia. 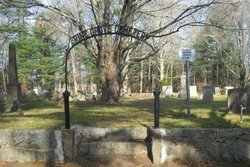 The Pratt family had been settled in Easton for several generations; their farm was not very far from the Gilmore spread in the southeastern section of town. As her coffin was lowered into a plot in Pine Grove Cemetery, Sophia Pratt would have received a fitting funeral. 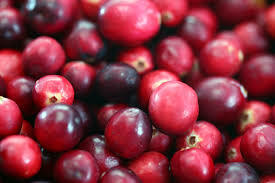 Cranberries were common in New England. There is debate over whether they were served at the earliest Thanksgiving dinners, but there’s no debate that both Native Americans and English settlers consumed the fruit in season. Botanist Judith Sumner notes that: “Wild cranberries were originally hand-picked, but efficient New-Englanders soon crafted scoops that could be used to rake the berries from the lax stems. During the nineteenth century, bogs carpeted with wild cranberries transformed into cultivated sites that were raked systematically each fall.”*** Augustus Lothrop, the youngest brother of Sarah Lothrop Ames, evidently cultivated cranberries at his farm in Sharon. Ed. note: Horace “Augustus” Lothrop was the youngest brother of Sarah Lothrop Ames. He lived in Sharon. 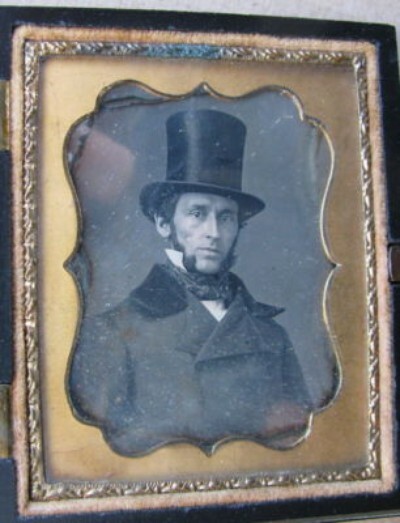 Alson “Augustus” Gilmore was a nephew of Evelina Gilmore Ames, son of her brother Alson. He lived in Easton. With the wind out of the north “[i]t was a cold day all day,” noted Old Oliver. So “bitter cold” was it that after bedtime, Evelina slipped downstairs in her nightgown to check on the indoor plants. Determined that they “should not freeze,” she lit a fire in the “airtight” to keep them warm. 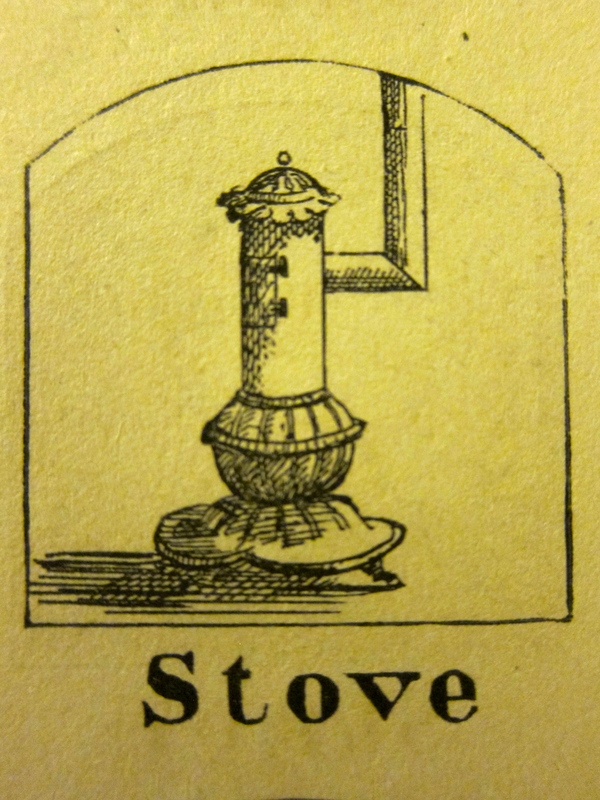 The airtight was another word for stove, in this case a coal stove. People often used the words stove and furnace interchangeably, so the air tight that Evelina speaks of may be the same furnace that is often lit by one of the servants. As was customary in many New England homes, it would have been allowed to burn down every night and started fresh each morning. Yet this evening was too cold to risk Evelina’s herbs and other plants being killed off, so the stove was kept going over night. The presence of this and perhaps other stoves in the house tells us that the Ameses no longer burned wood fires in the original fireplaces, a transition in heating technology that had happened since the 1830s over most of industrialized New England. The change had provided a better, more even heating system, but at a cost. Many lamented the loss, for “the hearth had been the warm, bright center of the household, the provider of cooked food, heat and light and a symbol of the family’s shared life.”* Others, however, of whom Evelina was likely one, cheered for the added warmth and convenience of the furnace.